When you get a ticket, you have three options: pay a fine and take the points on your driving record; go to court by yourself; or hire a good traffic ticket lawyer. Having the services of an experienced traffic ticket attorney is always the wisest option. If you pay the fine, the court assumes your payment is an admission of guilt, and points are assigned against your driving record. Your auto insurance company will also raise your rates; that’s an unavoidable and long-term (if not permanent) consequence of paying a traffic ticket fine. The Nevada Department of Motor Vehicles has established a points system to encourage good driving. Certain traffic violations will add points to your driving record and move you closer and closer to potentially losing your driving privileges. Disregarding traffic light or stop signs will add four points to your driving record. Speeding will also add points to your record, but the number of points added depends on how fast you were going. If you were driving 1-10 mph over the limit, you will receive one point, if you were driving 11-20 mph over the limit, you will receive two points. If you were driving 21-30 mph over the limit, you will receive three points. If you were driving 31-40 mph over the limit, you will receive four points. If you were driving 41 mph or more over the limit, you will receive five points. Nevada prohibits the use of hand-held cell phones and texting while driving. However, the first offense of using a hand-held phone while driving does not add points to your record. The second time, and any time after, you are given a ticket for using a hand-held phone while driving, you will receive four points on your driving record. Once you receive three points on your driving record, you’ll be notified. If you receive more than 12 points on your driving record within a year, your license is automatically suspended for a period of six months. You will be given a chance to appeal the decision with the Office of Administrative Hearings. To lower the points you have on your record, you can take traffic school. Completing a DMV-approved traffic school will remove three points from your record, however you are only permitted to attend traffic school to lower your points once per year. You are also not allowed to use traffic school to lower the points on your record if you are attending the school as part of a plea bargain deal. Even though traffic school can lower your points, the conviction remains on your driving record. This means that insurance companies may still increase your policy rate even after you have completed traffic school. If you have received any kind of traffic ticket in the state of Nevada, let an experienced traffic ticket attorney assist you with the legal process of fighting the ticket. Don’t accept the consequences of a traffic ticket without a fight. Speak to a Las Vegas traffic ticket attorney as soon as possible. 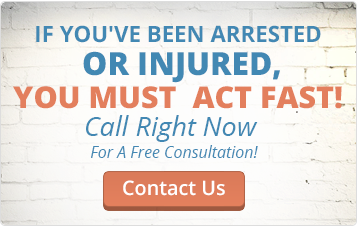 Let an Experienced Traffic Ticket Lawyer Fight For You! It is your constitutional right to represent yourself in any court of law. But, is this wise? If you are like most people, you simply are not prepared to cross-examine a police officer face-to-face in a court of law, especially a police officer who has been to traffic court numerous times and knows how to present a case. Examining witnesses, especially experienced witnesses, is best left to someone who has the specialized training to do it right – your lawyer. Working with an experienced traffic ticket attorney is always your better option. If you do choose to go to court by yourself, on your first trip you’ll only enter your initial plea. It’s a simple process, but there’s usually a long line, so it takes a while to see the judge or clerk. You’ll plead not guilty, guilty, or nolo (guilty with an excuse). Usually, when your plea is guilty or nolo, you’ll pay the fine, and points will be placed on your driving record. The court may offer a traffic school option as an alternative to the points. If your plea is not guilty, the court schedules you to return at a future time for pre-trial and trial procedures and hearings. However, when you hire a good traffic ticket lawyer, he or she actually goes to the court for you. Even better, an experienced traffic ticket attorney can often get the charge reduced or entirely dismissed, with a reduction of the fine and no points or insurance rate increases. Working with a good traffic ticket attorney is the only practical way to defend yourself against the consequences of a guilty verdict. You’ve come to the right website. The Fletcher Firm can provide a free initial evaluation – an honest and knowledgeable evaluation – of your case. When we handle your traffic ticket, you can relax in the knowledge that an experienced Las Vegas traffic ticket attorney is working on your behalf. The Fletcher Firm also handles traffic tickets in Barstow, Victorville, San Bernadino, Inland Empire, San Diego, and surrounding areas. Call us for your consultation at (702) 410-8980 or (702) 333-6339; we’re available 24 hours a day. Or, you can complete the Free Case Evaluation form on this webpage, and we will respond promptly. In many cases, our rates for traffic ticket assistance start as low as $50.00. Don’t hesitate to contact us right now. The attorneys at the Fletcher Firm are here to serve you and to get your traffic ticket resolved as quickly and painlessly as possible.